Gama Sonic Royal Solar Lamp Post Series lights have now been upgraded with the latest innovative technology: Solar SMD LED Light Bulbs. This New Orleans style streetlamp with attractive weathered bronze finish and decorative metalwork will add a perfect touch to any outdoor setting. This Royal Solar Light will illuminate your entryway, landscape and pathways and is the perfect energy-saving and money-saving replacement for electric or gas-powered outdoor lighting. 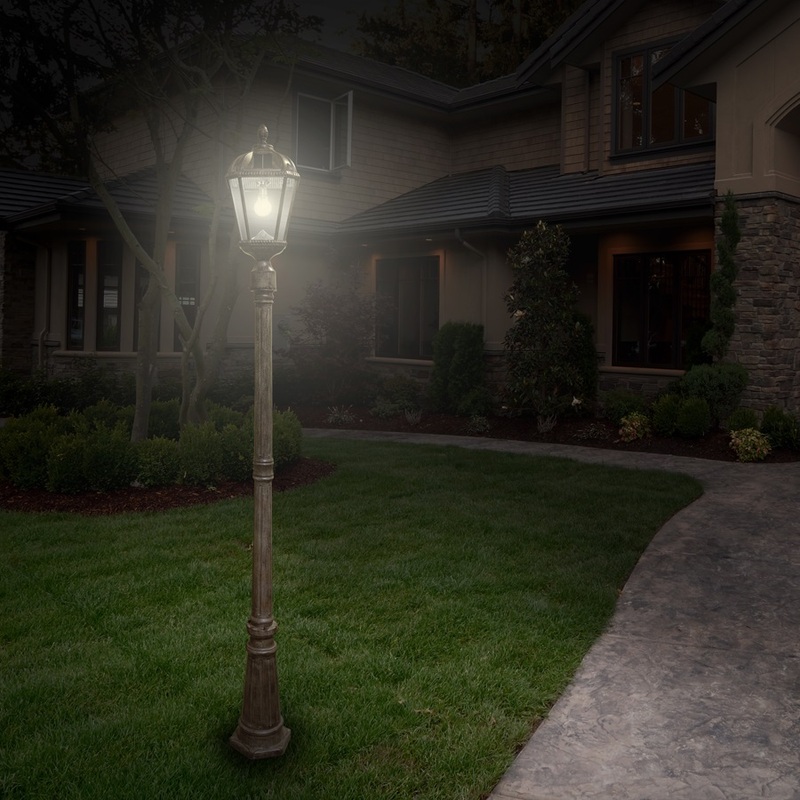 Easy to install and requires no wiring, digging or electricity, just install the post in concrete and the light will come on automatically at dusk providing illumination up to 8 hours per night when fully charged. Available with a single lamp, double lamp or triple lamp.